OK, guys - back on topic. We know already that Colombia is beautiful (thanks to Flickr), so let's discuss other countries now. Lol Point taken, I want to see some US now anyway. Last edited by elnina; 11-18-2018 at 07:16 PM..
IMO, it is. Alaska helps. Australia, Argentina and China are some of the few countries that could be compared to USA in term of diversity of geography. Are there any real tropics in the US though? South Florida can get quite cold in winter though, and doesn't have a monsoonal whether pattern (yes I realize some consider it a 'semi-monsoonal' climate), so it is quite different than tropical locations in places like Indonesia, Malaysia or northern Aus. And a few very small locations in the US are classified as 'savanna', but they too are quite different than the large scale savanna environments you find in Africa or Aus. If we talk about smaller countries like Colombia - New Zealand should be also considered. Just noticed this. FYI Colombia is not continental in size but not so small either. It stretches from Detroit to Miami, New Orleans to Raleigh and St. Louis to near the edges of the Bermuda Triangle. Not to mention it covers nearly 10% of the Caribbean sea shelf. Considering most of the US' geographic diversity is in one section of the country and Colombia's is far more evenly distributed, I would say there are comparisons to a certain extent that can be made. There are places in the tropics in Australia that can get quite cold. Mount Isa has recorded freezes 3 months of the year in winter and it's well inside the tropics at 20 degrees latitude and at only 356 meters, is at a relatively low elevation. People who live in Puerto Rico and Guam are US citizens who vote in US presidential elections. There is no permanent population on Heard and McDonald Islands so doesn't count IMO. It should only measure where people permanently live. We wouldn’t consider Mt Isa as “tropical” though. Just noticed this. FYI Colombia is not continental in size but not so small either. 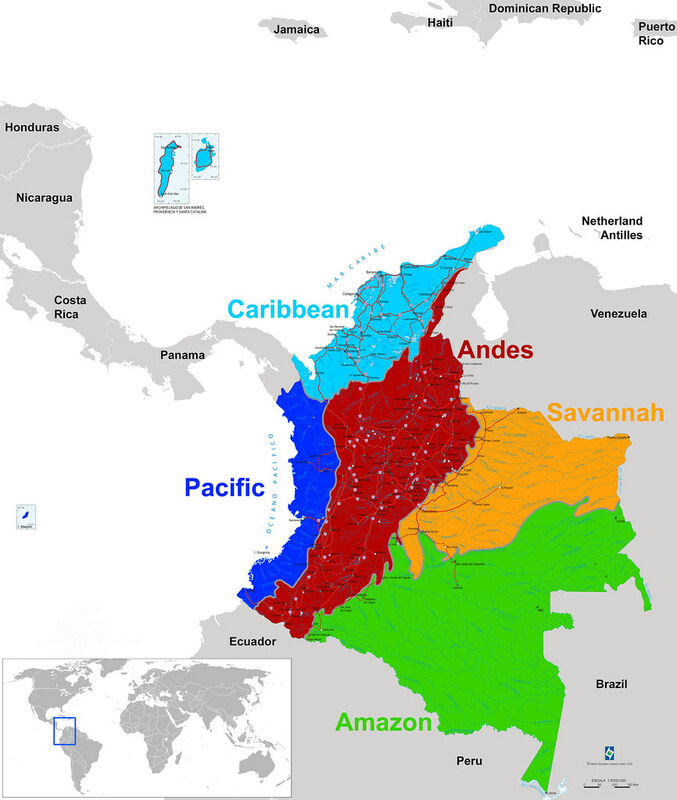 Colombia is about 9 times smaller than the US. I agree that it's more semi arid than tropical but most people in the world would consider an average high of almost 25C pretty tropical in the middle of winter even if nights are a little cool.